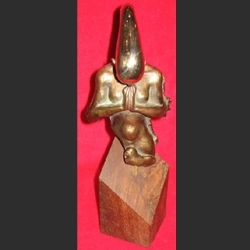 Dialogue is a bronze sculpture on a wooden base. It is a custom order only. A six-week waiting period is needed for the casting. A 50% deposit (750.00) is required.